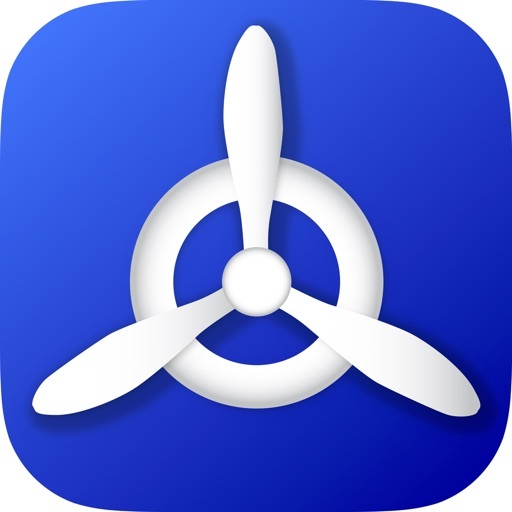 Quick and convenient access to METAR & TAF data for pilots and aviation enthusiasts. Search weather stations around the world. 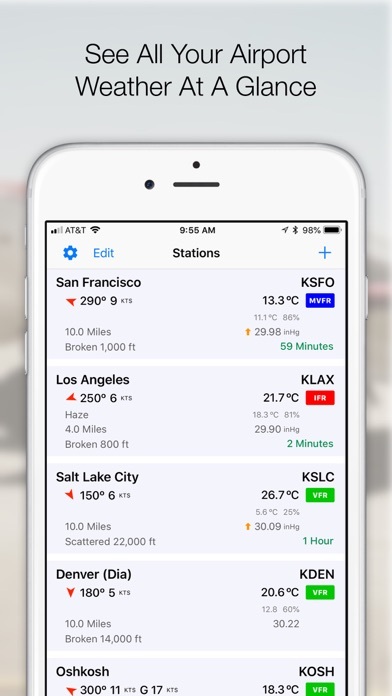 Each station in the list displays the info you need at quick glance. 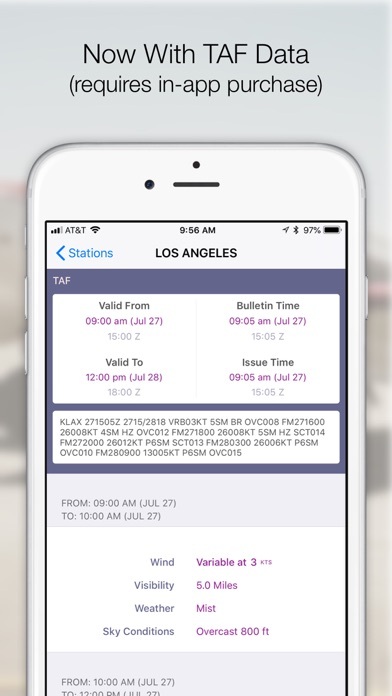 Tap each station to get additional details, including precipitation data (when reported), cloud layers, pressure trend (when reported), raw text, TAF data, and more. The list and details views show the metar age so you know when you've got the most up-to-date weather info. 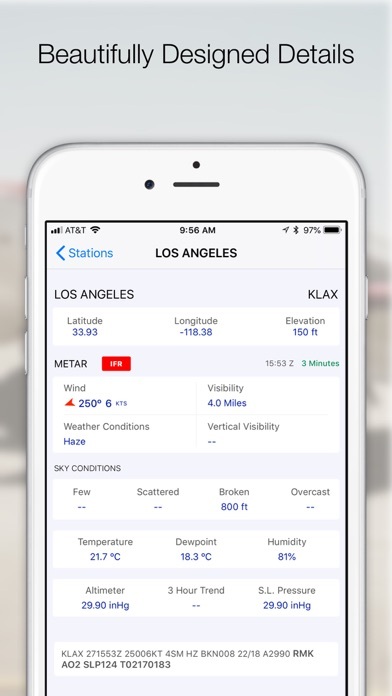 Gives you access to more airport weather data than other apps. 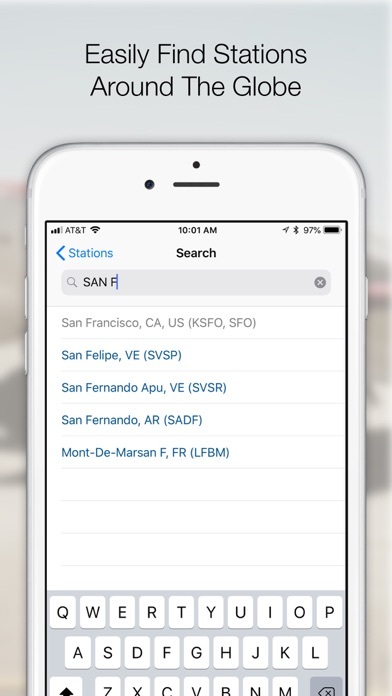 Station search results will indicate airports already saved in your list. Leave a comment in the reviews to let us know if there are any other features you'd like to see.